#2,532 Mammaw’s Things. – Laurel Mercantile Co.
Now reading: #2,532 Mammaw’s Things. I’ve been dreading today for a long time. Mammaw is still with us, but she doesn’t live at her house anymore, and sooner or later I knew we would all have to go there and sort through the things she and Pappaw left behind. The books and photos, pots and pans, plates, cups, watches and vases. I just felt my heart seize a little at the memory of this post and this post from a couple years ago, and immediately felt thankful that I had the foresight to do that. Today, Clark, Jim and I all went together to decide on the things that meant the most to us from their house that our parents had left for us. The boys treasured Pappaw’s badge from years as constable, his harmonicas, his pocket knives and the Laurel Leader-Call newspaper articles about his long political career. But the things I wanted pertained to my memories with Mammaw in her kitchen, where she taught me to make biscuits, her spicy rice, pie crust cookies. We would make late night snacks when I slept over (mild cheddar cheese and Ritz crackers with hot chocolate if that’s what I wanted), and though she was the greatest cook in the world (fried chicken! macaroni and cheese! spaghetti and meatballs! )—the only dish she never cared for enough to master was the grilled cheese sandwich (microwaved, yikes!). Those are the memories I have the most of my time with her and so today I brought home the things that made my heart cry out when I saw them: her Blue Willow and Currier and Ives china. The Christmas cookie jar she bought in 1997. The silverware we used at every Sunday lunch. One wooden chair, from the guest bedroom, sturdy and lovely. 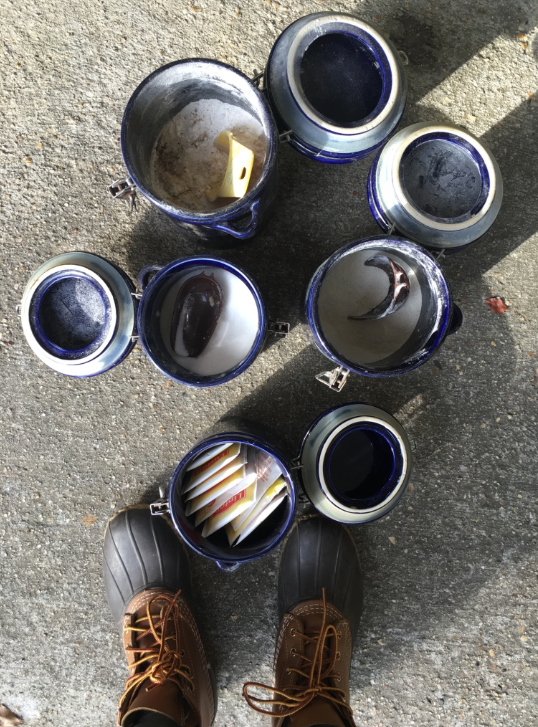 The red Dutch oven, the crevices and edges tarnished black from years of hot grease, the heavy cobalt blue canisters for flour, sugar, tea and cornmeal. 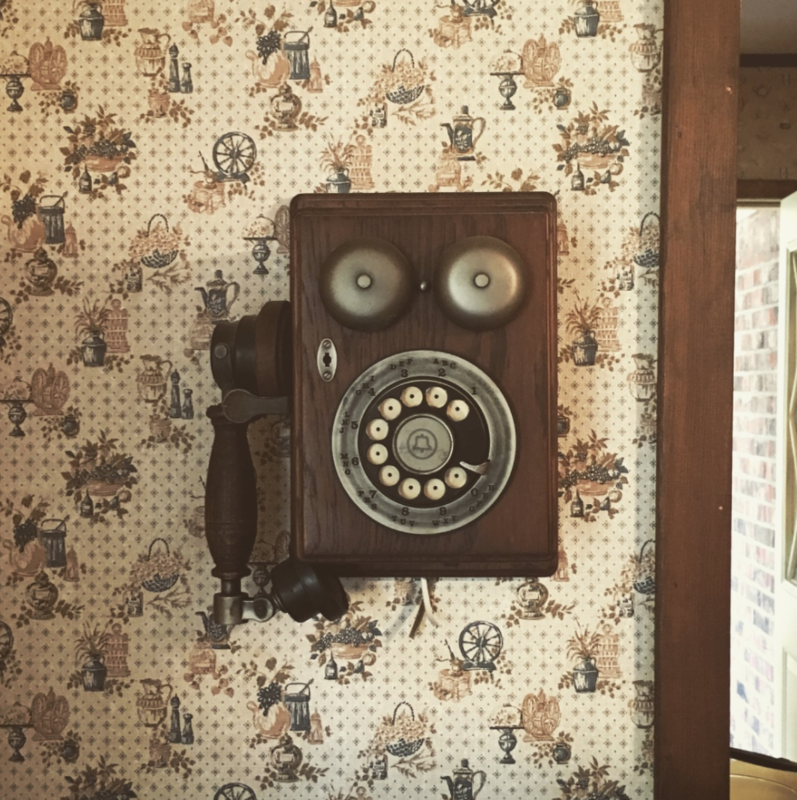 The antique rotary phone on the wall by the door that I used to call my mama and say “goodnight!” when they were away on overnight trips leaving me with Mammaw and Pappaw to build campfires, chew sugar cane, put together puzzles. 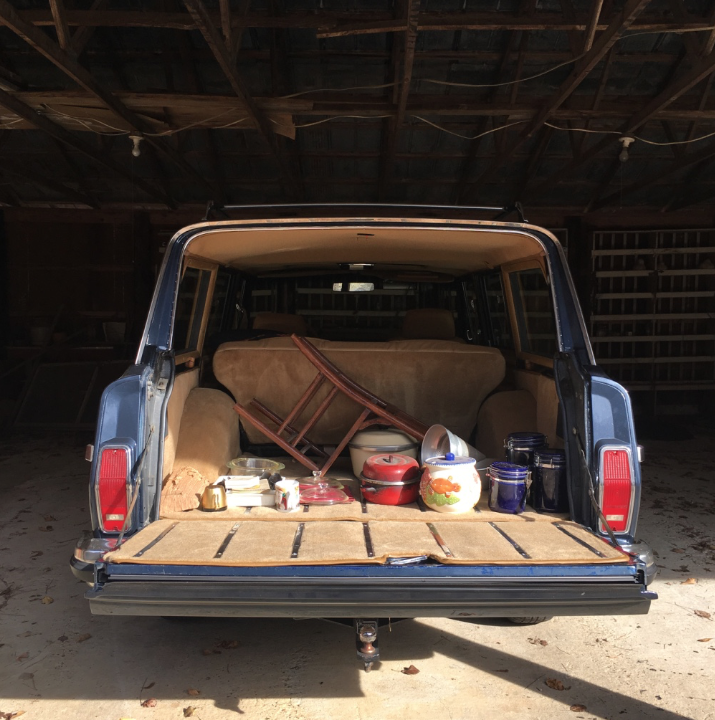 31 years of my life spent visiting my grandparents, and I pulled out of the driveway today with only a precious few things, an armload, that felt like their souls are still attached to, even if a little dusty. Inside the canisters I found her last ingredients, the old plastic scoops buried, ready for baking. And that made me smile.